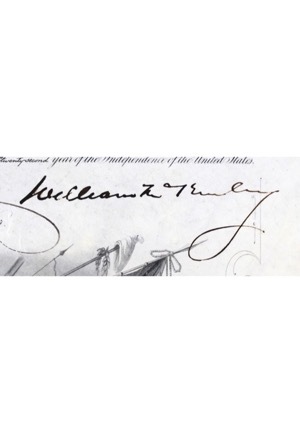 Across the top of all three documents reads “THE PRESIDENT OF THE UNITED STATES OF AMERICA”. 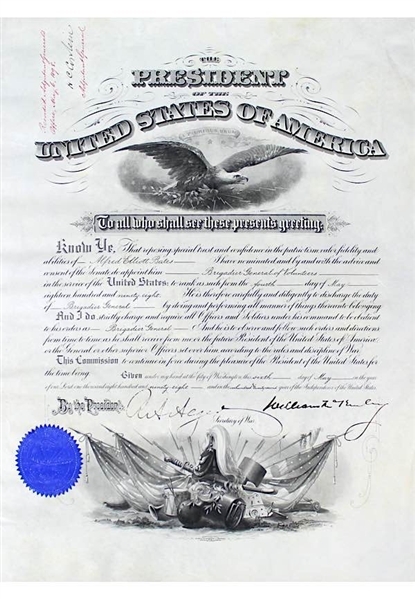 Each document respectively appoints individuals as “Brigadier General of Volunteers”, “Surgeon of Volunteers” and “Colonel of the Forty-first regiment of Infantry, United States Volunteers”. 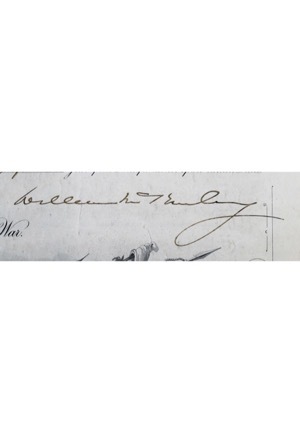 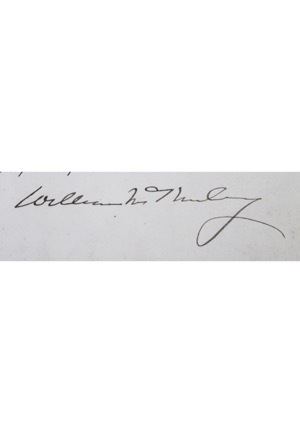 President McKinley signed the bottom right of each document in black ink and in our opinion the signatures rate a combined strong 8. 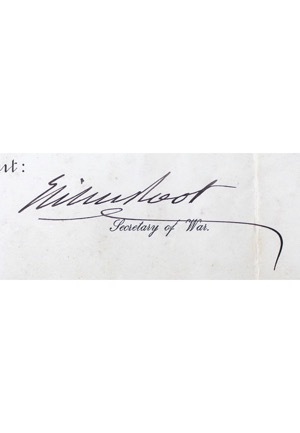 The Secretary of War Elihu Root signed to the right on two of the documents and prior Secretary of War Russell A. Alger signed to the right of the other. 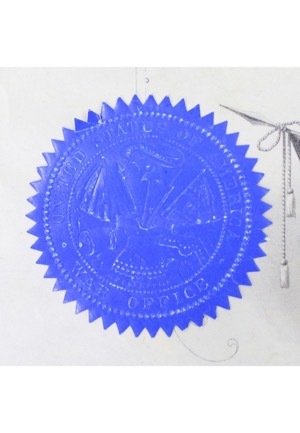 The blue United States War Office seal is on the bottom of all three documents. Accompanied by a LOA from JSA and a PSA/DNA LOA.